Carl Soderbergh, MRG’s Director of Policy and Communications, posts a 2-part blog on the issues confronting Maasai communities in the Serengeti and Ngorogoro regions of Tanzania. In the first part, he considers the fact that Maasai have faced repeated evictions over the past several decades. Terra nullius is a Latin expression used in ancient Roman law meaning “empty land” or “land belonging to no one”. The doctrine permitted title to be claimed to land through occupation. It was repeatedly applied by European empires to justify the seizing of land in the Americas, in Oceania and in Africa. Essentially, European governments turned a blind eye to indigenous land ownership when applying the doctrine. In part, this was because the often communal land use of indigenous peoples do not follow the same patterns of land ownership as in Europe. Mostly, the doctrine was a convenient excuse for the colonisation of whole continents. I reflected often on the doctrine of Terra nullius during a recent trip to Tanzania. I was travelling with my colleague, MRG’s head of law, Lucy Claridge. We went there in order to study the situation of Maasai in Loliondo district, a hilly area abutting the Serengeti National Park to the west and the Kenyan border to the north. To the south and east rise the airy highlands around the Ngorogoro Crater. We travelled with friends from the Pastoralist Women’s Council (PWC), an MRG partner organisation which works to support Maasai women in several villages in the area. In principle, Terra nullius has been repudiated in international law through a series of decisions by national courts and regional tribunals recognising indigenous land claims. 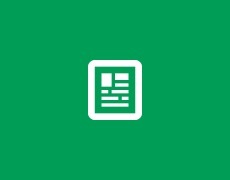 The African Union’s decision in the Endorois case concerning Kenya is one of the most recent. Sadly, though, Terra nullius has not been buried with the passing of the European empires but rather lives on in new ways, not least in the blindness outsiders have to traditional patterns of relating to the land. Lucy and I participated in several large village gatherings in the area. Every speaker was given the time to speak for as long as he or she chose. At each meeting, we asked those gathered what their major concerns were – an open question, since we were there to hear how best MRG could support the communities via PWC. The participants would first discuss among themselves what topics they as a group should prioritise. The meetings could take over five hours, but the gatherings seemed to be as much about the conversations as the results achieved. In every single meeting, the participants agreed about what was foremost on their minds – land. Access to land is a vital issue for Maasai, given the very central place reserved in their culture for their livestock and the inherent vulnerability of pastoralism to periods of drought when access to secure water sources is quite literally a matter of life or death. The Maasai of northern Tanzania have a particularly sad history when it comes to land rights. In 1959, ten thousand Maasai were displaced from the Serengeti by the British colonial administration in order to create a vast wildlife sanctuary. 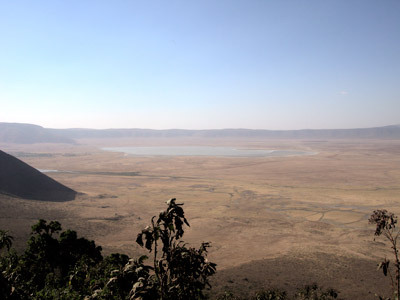 In exchange, the British established the neighbouring Ngorogoro Conservation Area centred on the crater of the same name; Maasai were permitted to graze their livestock alongside the wild animals there. Sixteen years later, the Maasai who had settled in Ngorogoro were told by the Tanzanian government that they had to leave the crater floor for the sake of the wildlife. Over time and to become more resilient during droughts, Maasai families took to cultivating small plots of land on its slopes. And now, the government is telling those who farm on the rim of the crater and in the highlands around it that they must stop doing so or risk arrest. The government has started to relocate thousands of Maasai out of the Conservation Area. One can see a new form of Terra nullius in the general lack of respect towards Maasai land use. According to Alais Ole Morindat, Coordinator of Kimange DSC and an adviser to PWC, the combination of modern land tenure legislation plus repeated evictions are “breaking up specific principles of being and belonging”, namely as represented by centuries-old Maasai communal land use. The belief appears to be that if Maasai do not establish a clear title to the land, through building permanent homes and other amenities, they do not have the right to remain. This happened when the British established Serengeti National Park. However, as Carol Sorensen, a respected expert at the Tanzania Natural Resource Forum, explained to us, the Serengeti is “not a wild but a cultural landscape”. Pastoralist Maasai have been there a very long time, and according to her, the open landscape is at least in part a result of the grazing of their livestock. Another natural resources expert, Fred Nelson, told Lucy and me when we got back to Arusha that the Maasai are not really nomadic. Their movement across the land is “rubber-banding”, whereby “claims to resources become vested and overlapping at certain times of the year.” A problem now, Fred added, is that Maasai have to range such long distances as “acts of desperation, since the land is so fragmented”. 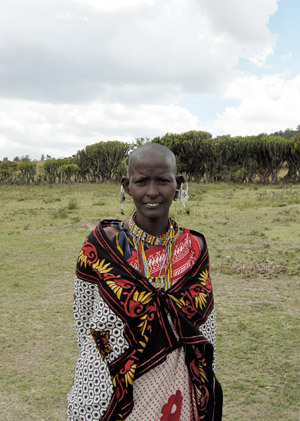 In Loliondo, one of the Maasai women whom we met said, “We are not even equal to wildlife. The government values wildlife more than human beings.” Given what is going on, who can blame her for saying so?